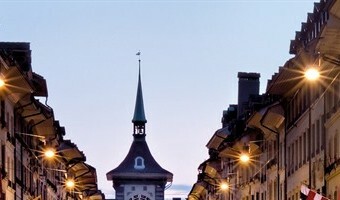 Swiss prosperity: What’s behind the success story? Viet Nam News On the occasion of Swiss National Day, Ambassador Beatrice Maser Mallor shares her country’s development story. Switzerland celebrates its 727th anniversary on August 1. A mountainous country located in the heart of Europe, Switzerland traces its origins to 1291, when a defensive alliance of three cantons (provinces) was formed. It quickly expanded over the next two centuries into a loose confederation of sovereign cantons. After a short period of centralized government during the Napoleonic period and the confirmation of its present borders at the Congress of Vienna in 1815, Switzerland became a federal State through the promulgation of a modern constitution in 1848. Rapid industrialization and economic development went hand in hand with the granting of extensive civil and political rights, including elements of direct democracy, for which the country has become famous. Switzerland does not have many natural resources and does not have access to the sea. In … [Read more...] about Swiss prosperity: What’s behind the success story?